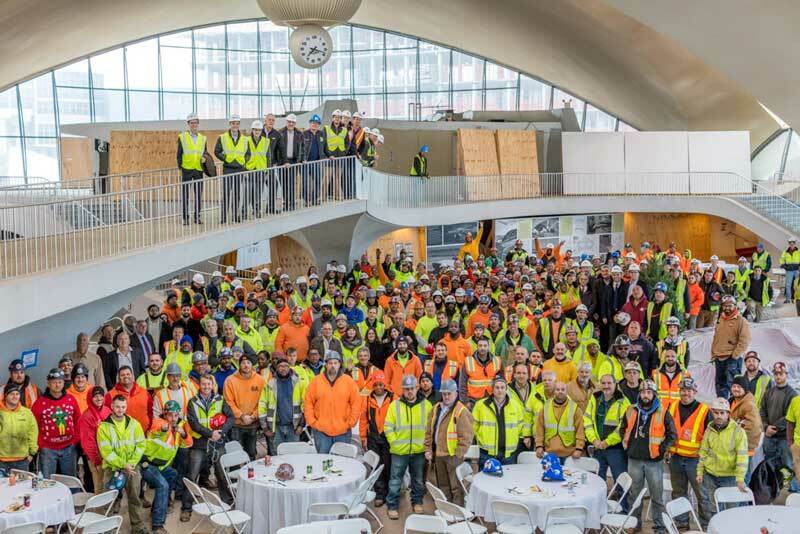 One of New York City’s largest development projects, the TWA Hotel will create 3,700 permanent and construction jobs. 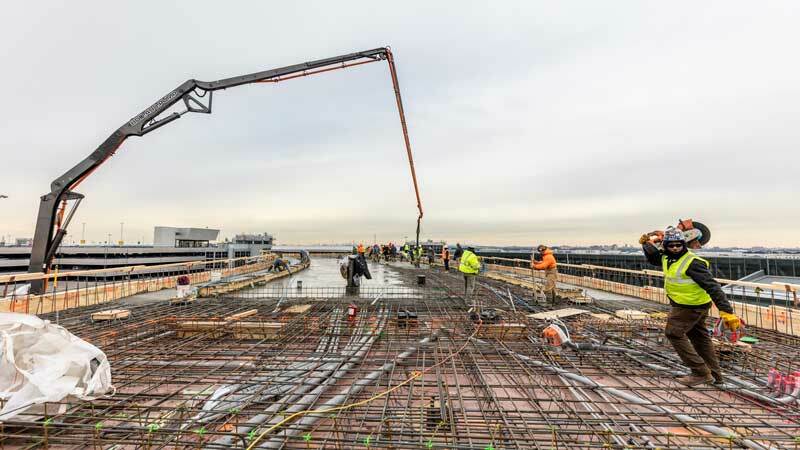 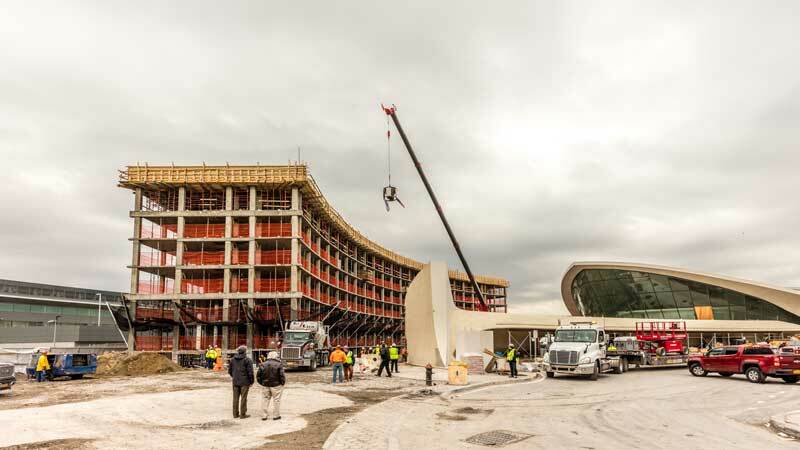 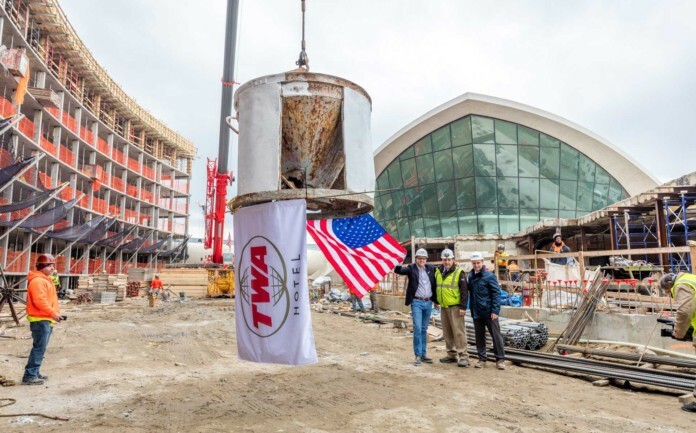 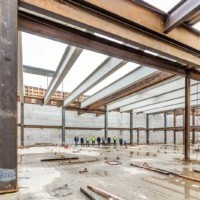 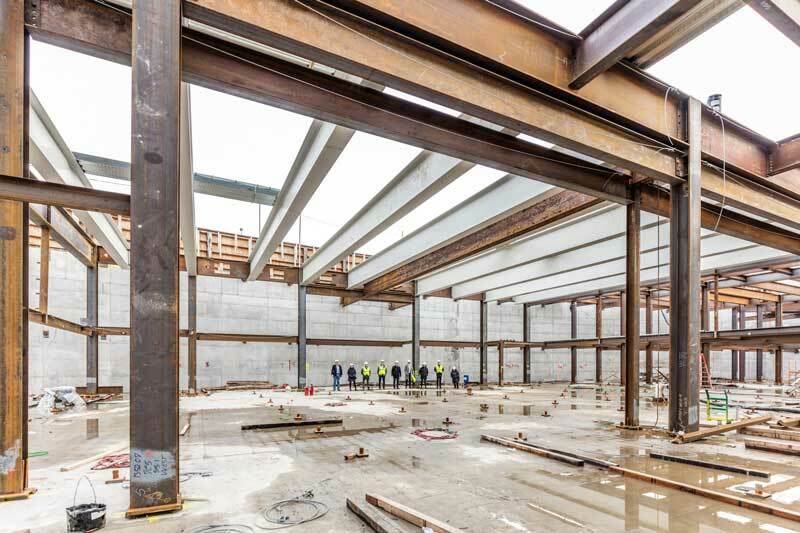 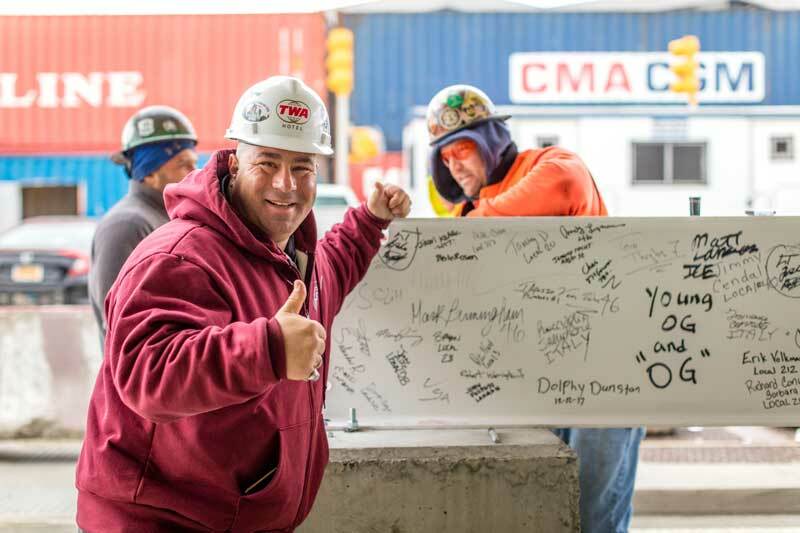 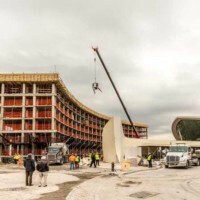 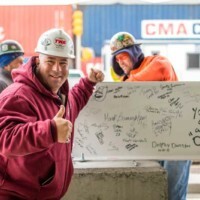 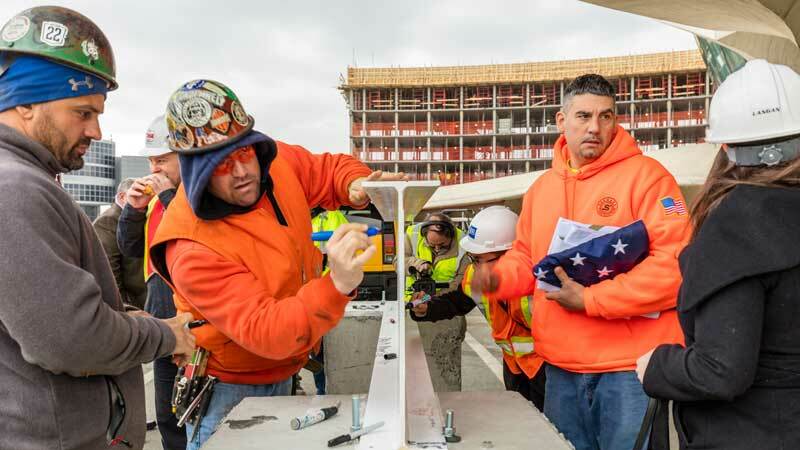 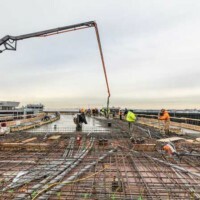 MCR, the seventh-largest hotel owner-operator in the U.S., joined hundreds of construction workers at John F. Kennedy International Airport on Tuesday to top out the TWA Hotel’s first hotel structure. 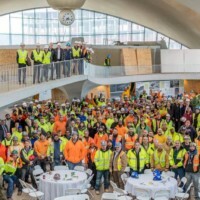 Once complete, the TWA Hotel will preserve Eero Saarinen’s iconic TWA Flight Center, adaptively reusing the terminal as a world class hotel with 505 guestrooms, 50,000 square feet of state of the art meeting and event space, and a variety of high quality food, beverage and retail options.